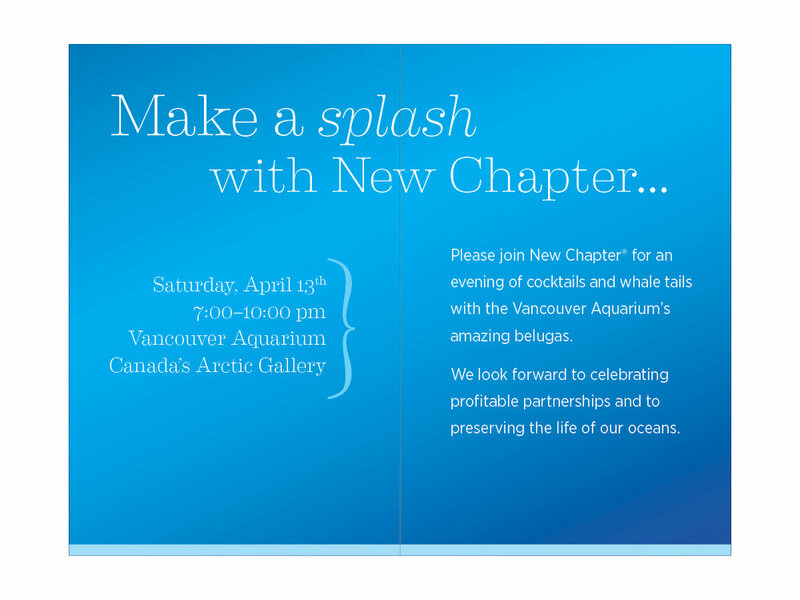 At the Canadian Health Food Association Natural Products West, New Chapter hosted an event at the Vancouver Aquarium to promote their partnership with OceanWise, the VA’s conservation program for sustainable seafood. In this design, beluga whale tails were used as inspiration, as well as the color palette of their underwater world. 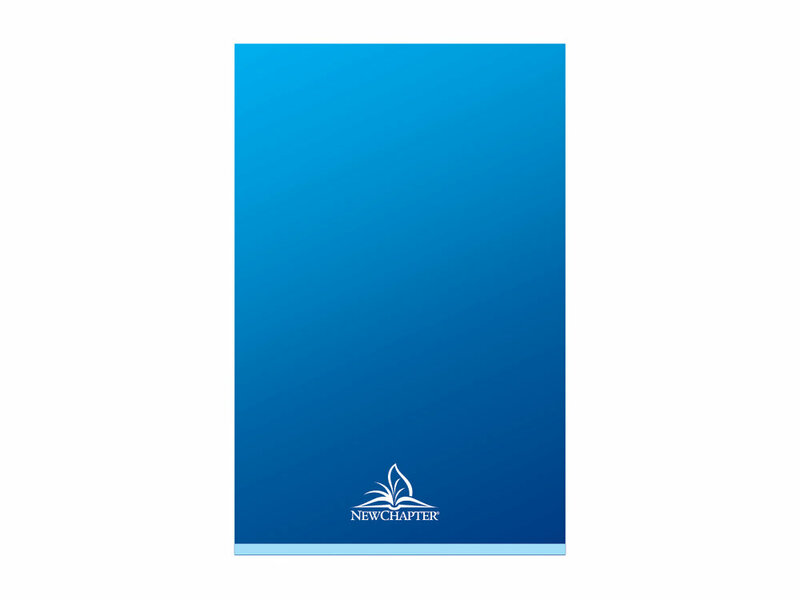 Striking signage was created for the booth and a small, book-like invitation for retailers.